For over 30 years, John has helped his clients avoid unintended consequences of their financial decisions in retirement, business, and estate planning. 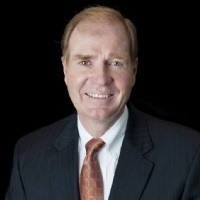 He has been president of the Salt Lake Estate Planning Council, Utah Association of Insurance and Financial Advisors, and the Utah Society of Financial Service Professionals. John helps people make wise decisions in regard to their wealth. John specializes in helping families increase the amount of assets that will be exempt from estate taxation, and in increasing their spendable cash flow during retirement.